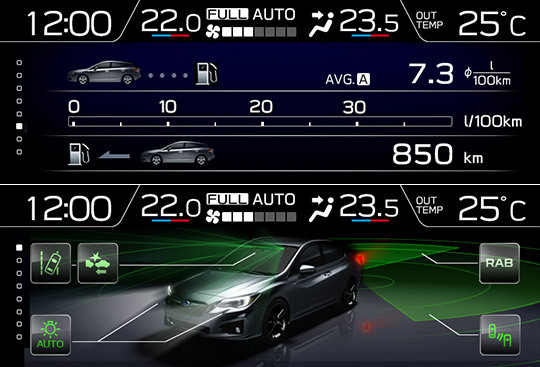 * Fuel consumption and CO2 emissions: According to EC 715/2007 - 2016/646. 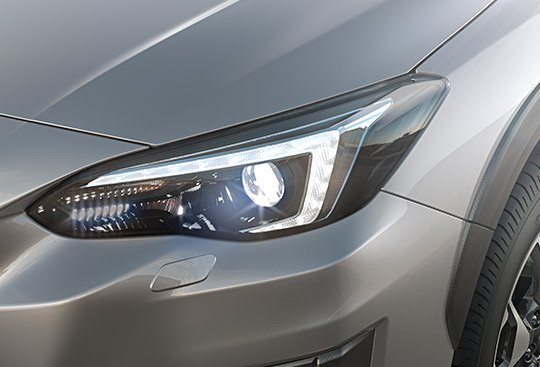 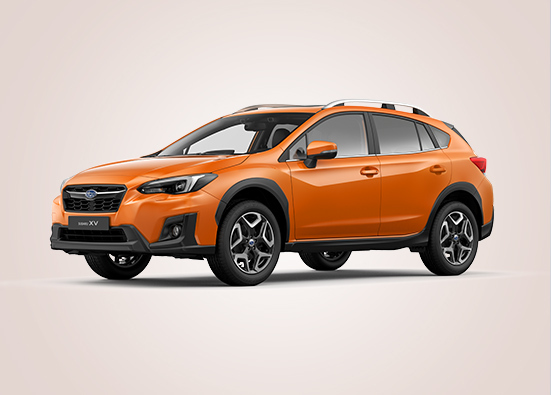 You’ll immediately tell the SUBARU XV apart from any other vehicle by its fun wheel design. 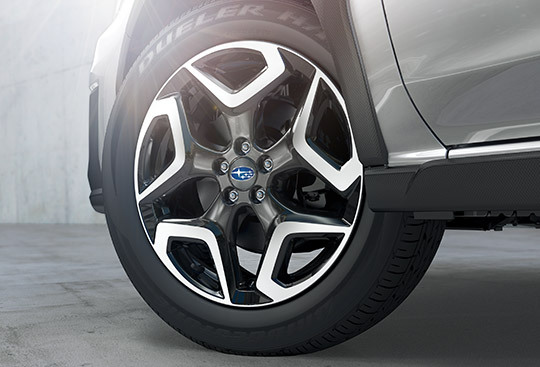 These durable and lightweight wheels show the SUBARU XV’s powerful, lively, and unique personality. 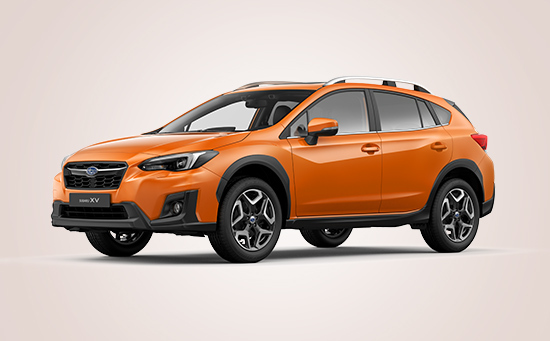 Ready to support your life’s accessories, roof rails on the SUBARU XV add more utility to your enjoyable drive. 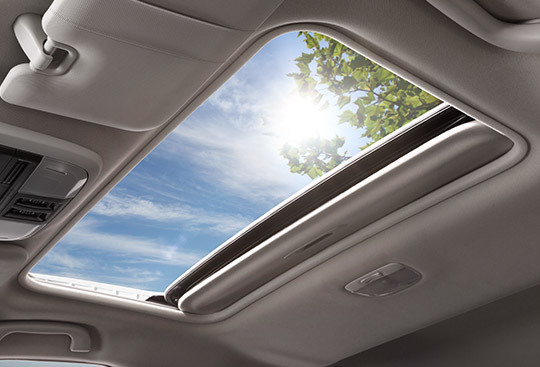 The SUBARU XV comes with a sunroof to allow light in the cabin for a pleasant and comfortable ride for all. 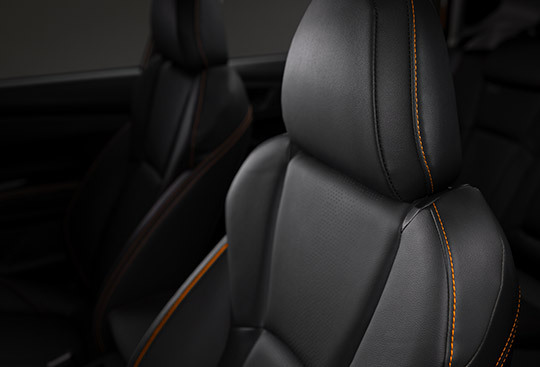 The ultra-comfortable contoured front seats come with exciting orange stitching that adds to the SUBARU XV’s fun factor. 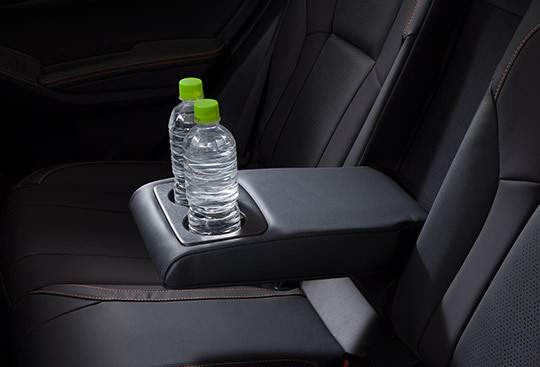 The interior of the SUBARU XV offers comfort for all passengers, with cup holders in the rear seat centre armrest. 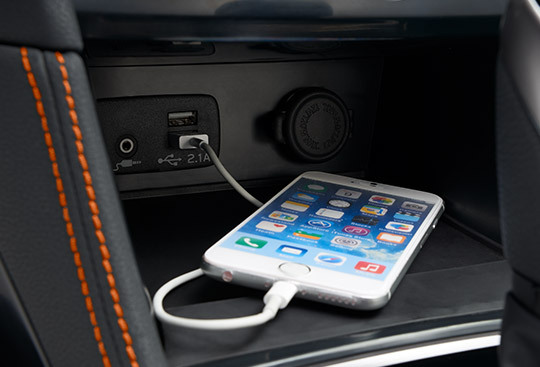 Use today’s most popular apps with Apple CarPlay*3 and Android Auto*4. 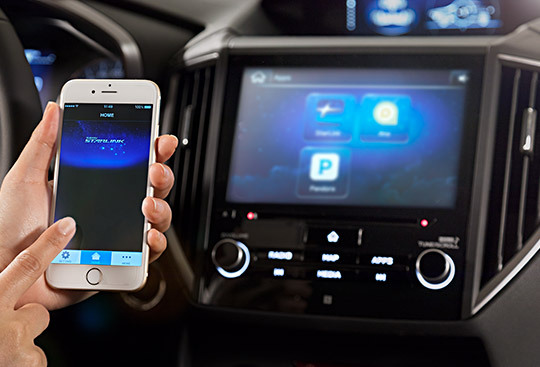 Voice recognition capabilities allow hands-free use, keeping everybody safe while reducing distractions when you’re on the road. 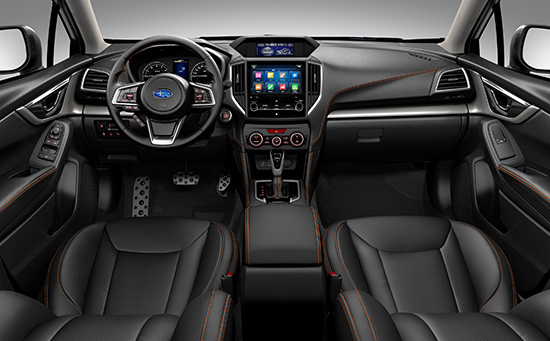 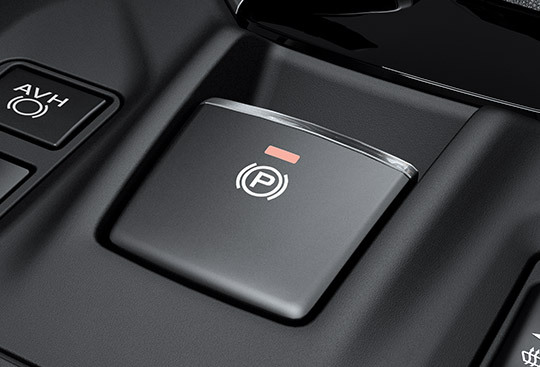 The SUBARU STARLINK system grants safe access to internet radio, apps and more via the touchscreen or voice commands. 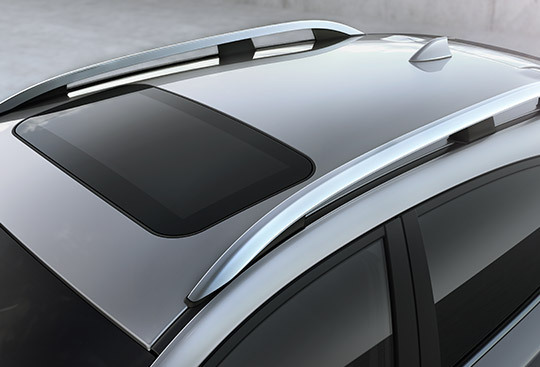 *1 Requires purchase of an attachment to load cargo on the roof rails. 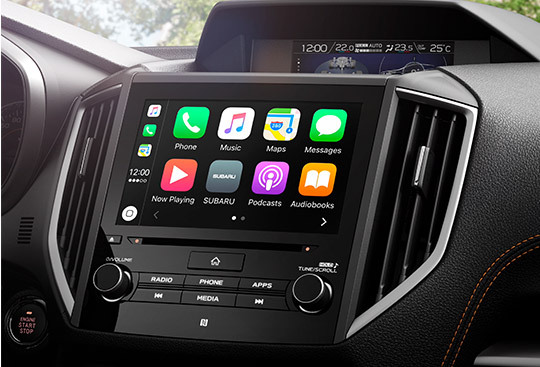 *2 Apple, iPhone and iPod are registered trademarks of Apple Inc.
*3 Apple CarPlay is a trademark of Apple Inc., registered in the U.S. and other countries. 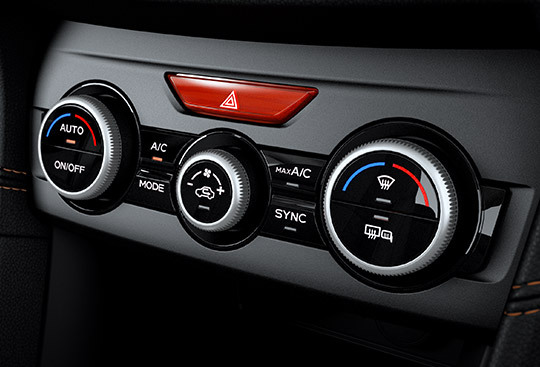 *4 Android and Android Auto are trademarks of Google Inc.
* Models without roof rails have a height of 1,595 mm. 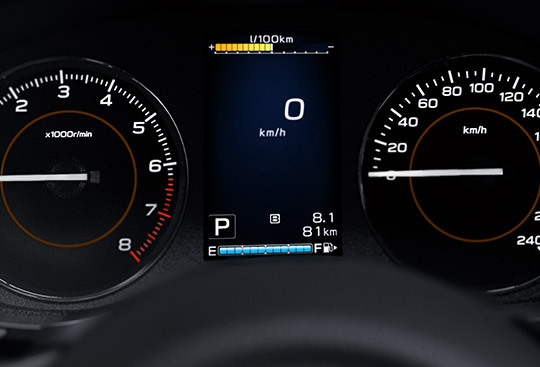 *1 Fuel consumption and CO2 emissions: According to ECE 715/2007-2016/646. 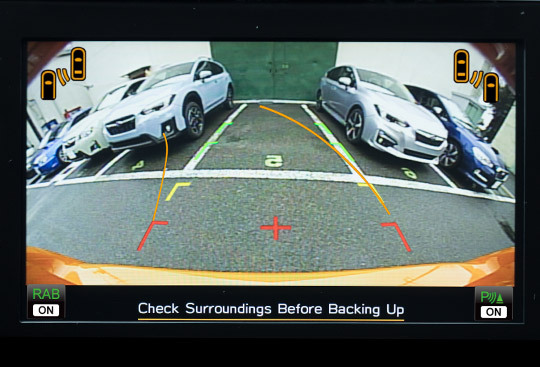 *2 Measured by VDA (V214).